Learning to be (exercise of greater independence and judgement combined with a stronger sense of personal responsibility for the attainment of common goals). 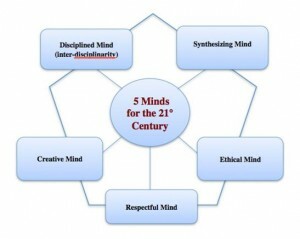 the ethical mind (capacity to reflect on the nature of one’s own work and on the needs of the society within which one lives). Figure 2 – Lifelong, Lifewide and Lifedeep Learning. Source: Kjisik, 2011, p.8. 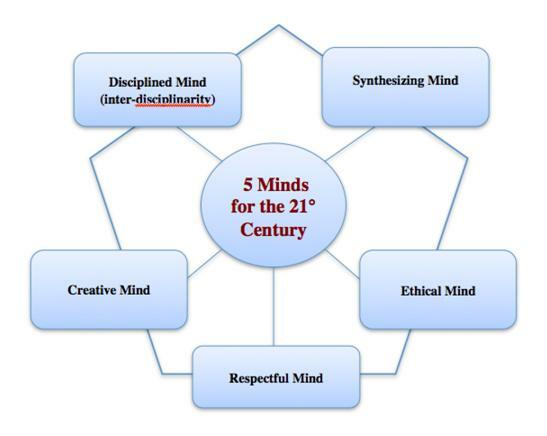 These concepts, models and assumptions represent very much the frontier of education and a fundamental challenge to today’s predominant forms of education. 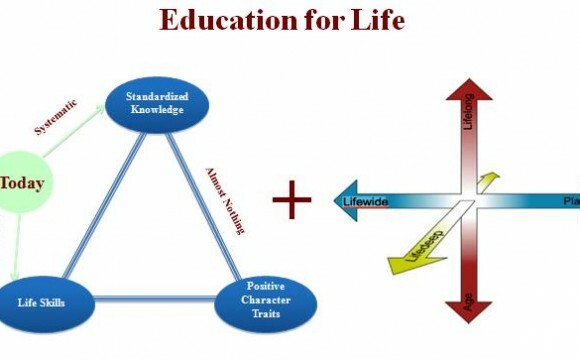 It is essential to build on these concepts to generate an education-for-life model capable of being translated into policies and innovative practices that can gradually lead to a deep transformation of both education and our selves. Banks, J., Au, K., Ball, A., Bell, P., Gordon, E., Gutiérrez, K., Heath, S., Lee, C., Lee, Y., Mahiri, J., Nasir, N., Valdés, G. and Zhou, M., Learning In and Out of Schools in Diverse Environments. 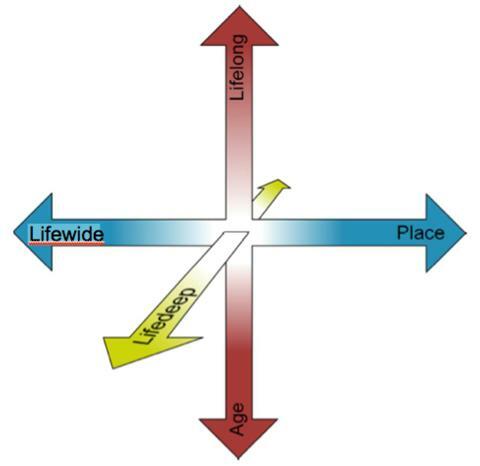 Life-Long, Life-Wide, Life-Deep, The LIFE Center (The Learning in Informal and Formal Environments Center), University of Washington, Stanford University, and SRI International, Washington, Seattle, 2007. Delors, J. and Members of the Commission, Learning. The Treasure Within, UNESCO, Paris, 1996. Gardner, H., 5 Minds for the Future, Harvard Business Press, Boston MA, 2008. Kegan, R., What “Form” Transforms? A Constructive-Developmental Approach to Transformative Learning. In J. Mezirow and Associates, Learning as Transformation. Critical Perpectives on a Theory in Progress, Jossey-Bass, San Francisco, 2000, pp.35-69. Kjisik, F., Lifelong. Lifewide and Lifedeep Learning and the Autonomous Language Learner, University of Helsinki, Presentation for the IATELF Conference, Brighton, 17 April 2011. Mezirow, J., Learning to Think like an Adult. Core Concepts of Transformation Theory. In J. Mezirow and Associates, Learning as Transformation. Critical Perpectives on a Theory in Progress, Jossey-Bass, San Francisco, 2000, pp.3-33. Mezirow, J. and Associates, Learning as Transformation. Critical Perpectives on a Theory in Progress, Jossey-Bass, San Francisco, 2000. Redecker, C., Leis, M., Leendertse, M., Punie, Y., Gijsbers, G., Kirschner, P., Stoyanov S. and Hoogveld, B., The Future of Learning. Preparing for Change, JRC Scientific and Technical Reports, Institute for Prospective Technological Studies (IPTS), Seville, 2011. Taylor, E., Cranton, P. and Associates, The Handbook of Transformative Learning. Theory, Research, and Practice, Jossey-Bass, San Francisco, 2012. Skolverket (Swedish National Agency for Education), Lifelong learning and lifewide learning, The National Agency for Education, Stockholm, 2000.